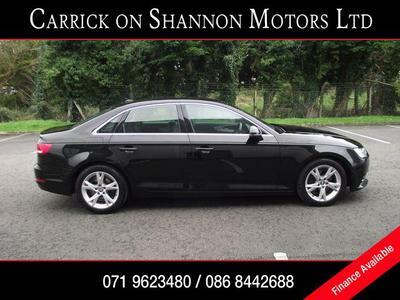 At Carrick on Shannon Motors, Leitrim we have a fully equipped tyre centre. All leading brands including Michelin, Dunlop, Bridgestone and Continental are available along with a range of budget brands to suit every pocket. Prices start from €45 Inc VAT and that includes fitting and free wheel balancing. You need your wheels balanced if you feel a vibration in the steering as you drive. If wheels need to be aligned then chances are that you are spending more on petrol/diesel than you need to with the added danger of the car skidding sue to poor traction. Both are serious issues which should be addressed immediately and both will result in waring your tyres out more quickly than normal. Visit Carrick Motors now and we can help! We use the very latest in computerized technology to offer 4 wheel alignment and ensure 100% accuracy. Full proof print out of before and after values will be provided. 20 Years Experience fitting budget tyres means that we know which budget tyres are good quality. We offer the guaranteed cheapest prices in north west Ireland. We can fit and balance a new tyre in 10 mins. Free balancing is included with every new tyre. If your car is wearing tyres you need to get it tracked. If you have a vibration in your steering you need your tyres balanced.